L4G South West Herts District: Why I Love Watford! As I was coming back from London this afternoon on what was a rather slow fast service, I thought to myself that ‘Watford isn’t a bad place to live actually.’ With great transport links making the dreaded commute a relatively short journey, a buzzing town centre with just about everything a person needs and plans for development that will improve the town even more, I rethought my phrase ‘Watford isn’t a bad place to live’ and thought ‘ I love Watford’. 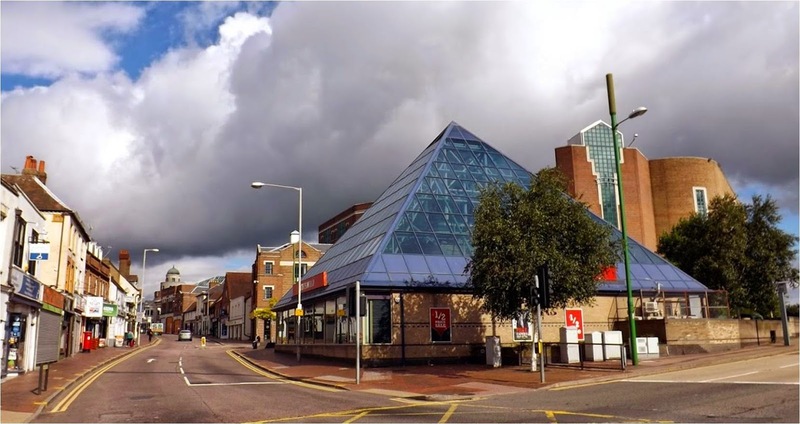 I then thought that it would be brilliant to write a little blog piece about some of the reasons why I love to live in Watford and why I plan to stay here for the foreseeable future. Before anyone comments, I actually live in Bushey but that isn’t important as most people in Bushey use Watford for their needs. One of the main reasons why I love Watford is because it has everything that a person needs to live their life. The Harlequin, sorry Intu Watford, is a brilliant shopping centre and caters for most people’s needs. It has a great range of clothes stores and I feel it caters to the needs of the majority of the town. 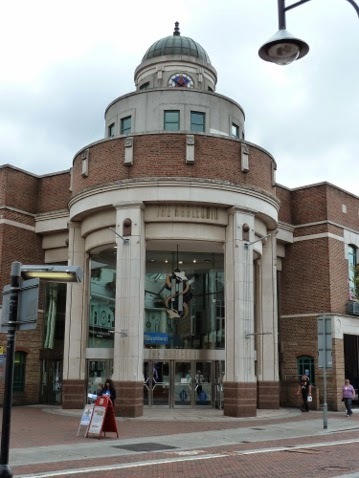 With the exception of Debenhams, I can’t think of a major store that isn’t based within the shopping centre and this means that people have everything under one roof. When I need a new suit I pop into Moss Bros and they can either find something I like in store or order it in and it will be there within a few days. It aint easy being Green, unless you live in Watford! As mentioned on the Community TV Show last week, Cassiobury Park has been nominated for a green flag award and should it win the competition, it will be considered the best park in the country. Within 10 minutes of the high street, we could have an award winning park and the ability to enjoy a sunny day in its surroundings. I spent one morning this summer walking around the park and taking advantage of its beauty for no particular reason than to get out and enjoy the fresh air. I feel that with features like the Grand Union Canal and Bluebell Woods, we have the best of both worlds; a thriving town centre with everything we need and the natural beauty of the countryside to relax and unwind in. For anyone who doesn’t know, I love buying local and am a firm supporter of Link4Growth’s #BuyLocal campaign. I believe that not only is buying local cheaper than buying at the chains, it is a better experience. Since joining Link4Growth last year, I have found myself more aware of the local businesses that are in Watford and believe they provide some of the best produce in town. 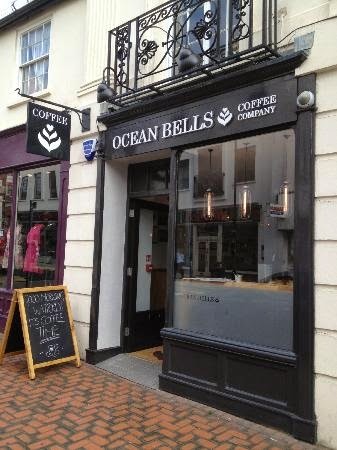 For example, I was in the awesome Ocean Bells Coffee Shop today for a quick cappuccino and a sweet treat before going back to the textbooks and I loved the experience. As well as awesome coffee and a tasty brownie, the service was brilliant and because I have started to make an effort to go there, I have been able to build up a rapport with the staff and get their advice about where I should get my coffee in London. These people are experts in what they are doing and have chosen to work there rather than seeing it as a ‘job’. They aren’t doing it for the money; they are doing it because they love what they are doing and want to do something they love. I could have used many other examples of local businesses in Watford such as the LP cafe or any of many stalls on the market. These are just a few of the reasons why I love Watford. I hope this article starts a discussion of why you love Watford and encourages you to even write you own article about why you love Watford. For all the negatives about Watford, I believe many of these are myths and over-exaggerations. We have got a mindset where we believe our town isn’t as good as it could be but if we think about it, I believe we have one of the best towns to live in and we should embrace it!